I like a challenge. They give me an opportunity to stretch. So six months after pledging to blog every day, I’ve decided to take on the 1000-1000 Travel Blog Challenge to grow my blog to the point where it earns at least $1000 US per month and gets an average of 1000 visitors a day. It won’t be easy but I won’t be alone. I’ll be joining a fabulous group of travel bloggers who I’ll support and who will, in turn, support me. I hope you’ll encourage me with comments and likes, and, of course sharing my posts on your networks. I look forward to your support. Woohoo, I’m Versatile Blogger. Thanks, Judith! Woohoo, I’m a Versatile Blogger! 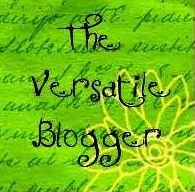 My fellow blogger, Judith Baxter at Growing Younger Each Day just nominated me for a Versatile Blogger Award. Thanks Judith! I wasn’t sure what or who a Versatile Blogger was but I would soon find out. This is actually a very cool thing. It’s also the first time I’ve been nominated for anything since I began blogging in earnest late last year so it’s very special to me. Once again, thank you, Judith. I just discovered Judith and my eyes lit up when I saw that she was a life coach. (Life coaching isn’t a job for just anybody – she went way up on my respect meter.) I also enjoy reading her posts. Check her out here. So what’s the Versatile Blogger Award? It is an opportunity for a blogger to recognize fellow bloggers who they admire and enjoy. Choose 15 other bloggers to pass the award to and inform them that they’re passing the award on to them. It’s still very difficult to talk about myself because there are so many other more interesting things and people around me. Seriously. I love Masterpiece Theatre and I never tire of watching Keeping up Appearances, As Time Goes By, Ms. Marple, Hercule Poirot with David Suchet. My ‘new’ fix is M1-5. My guilty pleasure is The Young and the Restless and General Hospital (soap operas). And for competition and armchair travel, I love the Amazing Race. I’m looking forward to owning a backyard, a dog and parrot – exactly in that order. Oh, and a garden near the ocean. I’d love to spend a year traveling to sacred places around the world. You could call it my personal year of living dangerously? In no particular order, these are the blogs I look forward to reading everyday for inspiration, for humor, for their refreshing content. Tony Newboult – Tony’s my first blog buddy. He blogs about music but right now he’s doing the A-Z Blogging challenge. First Year of Freedom – Despite the differences in our ages, I love reading Mozes Sanchez’s posts. Mozes, who’s in high school, blogs as First Year of Freedom. Reading his posts is like looking over his shoulder at high school life. Wander Woman – There’s so much power in this name. Carla’s posts are an interesting mix of travel and everyday stories. Always fresh, and refreshing. Hakea – I depend on Narelle to bring me the good stuff. She’s also made me add Australia to the list of countries I want to visit. Heather‘s stunningly sumptuous photographs are a feast. And her posts are just as sweet. She inspires me to be a better photographer. Queen of Zoom – I love reading Theresa’s posts about her family and her view of the world from the back of a motorbike. I’m taken back to my teenage years riding on the back of my uncle’s bike. Polly’s Space – Polly’s photos are powerful, her writing gentle. Check her out and see what I mean. Journey Through a Writer’s Life – Cheryl’s poems move me by their simplicity. Don’t be fooled, writing poetry is hard work. She just makes it look easy. Pass the Douchey channels my irreverent and decidedly liberal political side. I wish I could be as eloquent and as prolific. Marge Mercurio’s latest series of posts is focused on using the internet to find goodies. Please check out the really cool things she’s found. Grown up for Real – You know just by looking at a blogger’s page whether you’ll like what they post. D. Rene does it all – career, a blended family, home. Wandering Around – John is the kind of traveler/blogger I hope to become – one of these days, hopefully not too long from now. Leeswammes – I live books. Judith blogs about and reviews books. Nuff said! Amusing Elephant – Anyone who loves Sunday Brunches is worth reading. Jasem writes about food and life in India. Now, do the same and pass the Virtual Blogger Award to some bloggers you admire! Ozias Sanchez aka “Mozes,” who blogs as First Year of Freedom is one of my blog buddies. Mozes and my other buddies have been very supportive in helping me stay on track on this Postaday2011 blogging challenge. A few weeks ago, I did an interview with Mozes. Here’s what he had to say about blogging, writing and Lady Gaga. Since the interview is a little long, I’ll post it in two parts. I was born in Kansas City, MO, but I’ve been living in Colorado since I was 8. While I don’t meet the technical definition, I like to consider myself a Colorado native. I’m also very mature and pretty soft spoken. Well, I’m part of post a day, but I do what I can. While I see blogging as a chore, it’s also fun at the same time. Just one of those things, I guess. Actually, a really big hobby of mine is collecting postcards. But since the post office has very inconvenient hours, and I don’t own a car, I’ve not been able to trade as many as I’d like. So, I just play Xbox or something. If I remember correctly, the real reason I got involved into blogging was through myspace. Myspace lets you have a blog as well as a profile. I always looked at it, but I never knew what a blog was. One day, I finally looked it up and got really interested in the idea of keeping an online journal. Oh, let me tell ya, it isn’t easy. Actually I’m constantly paranoid about running out of ideas for my blog. But to keep on track, I’m always writing questions and interesting things that pop in my head throughout the day; one idea could be extremely different from the next, but both are interesting. Well, until my “official” topic of blogging about college actually comes around in August, I think the hardest part is actually sticking to one topic. I’m the kind of person that finds something interesting in everything, and I don’t know if I could not write about something for the sake of sticking to a specific topic. Well, as long as I don’t have to write every day that is. As for college, I think the hardest thing will be finding the time to blog, and having something interesting about college everyday that’s more than just college drama. How do you describe your blogging style? I write exactly how I talk, so I’d consider my blogging style (just like my topics) very relatable. Do you find it more difficult (or easy) to write about personal topics as opposed to what’s in the news? That’s a good question. I’ll have to go with personal topics, because though the news can have a lot of interesting things to write about, I commonly find some topics, like a state election, or the revolution in Egypt, boring (but still important). What’s your strategy with your blog in general? Would I find my own entry interesting if I came across it? And I usually try to make it more than 400 words. Commenting random people’s blogs can get me quite a bit of views, but I usually just advertise of Facebook. Read Part 2 of the interview with Ozias Sanchez here. I must admit, I wasn’t sure I could do it – post everyday for a week, let alone a year but I was willing to try. But I’d taken on challenges before…. I don’t think of the year. I think of a day at a time. Sometimes, ideas come quickly and often, other times not so. Sometimes, I bang out several hundred words in no time flat. At other times, a few hundred seem to take an eternity to emerge. Used to being more comfortable behind the scenes, I’m learning how to bare myself to the scrutiny of others and not become paralyzed by my fear that they won’t like what I say, think I’m a fraud or worry when they don’t comment. And they’ve been surprisingly (to me) generous, receptive and supportive. Now posting everyday has become a habit I don’t want to break. (I’m writing this as I wait to see a movie.) Three months just flew by! There’s no prize at the end of the year, just the sense of accomplishment I know I’ll have. Thanks to my blog buddies and everyone else whose comments have encouraged and propelled me forward. When I saw this question, my first thought was to ignore it. It made me feel uneasy. I’m not near retirement, and I hope, not near ready to kick the bucket. But when I thought about it a second time, I decided to think of it as a challenge. I also realized I could try to have a little fun with it. After all, the way I see myself is definitely different from the way others – friends, relatives, co-workers – see me. So what do I want to be remembered for? No matter how simple a joke is, I always forget the punchline. I hate sushi and asparagus. A whiff of chocolate can turn my stomach. If I had to rely on my math skills to make a living, I would starve. I stayed home from school the day we were supposed to dissect the rat in science class. I’m very athletic – in my mind! I dream mostly in color. I don’t always do the right thing. I only buy the lottery when it’s more than $100 million. I’m not indecisive. I just like to cover all angles. What about you? What do you want to be remembered for?